As we mentioned many times before, we love Hawaii! We always look forward to visiting and experiencing a little piece of its magic. We can honestly say that we think a Hawaiian destination wedding is a fantastic idea. 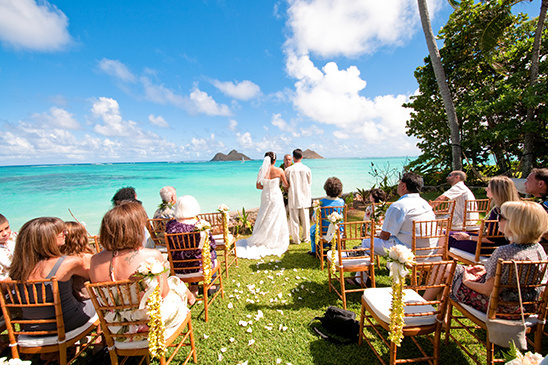 Although a Hawaiian destination wedding is the best idea ever, planning it may seem stressful. Lucky for you, Hawaiian Airlines has you covered! 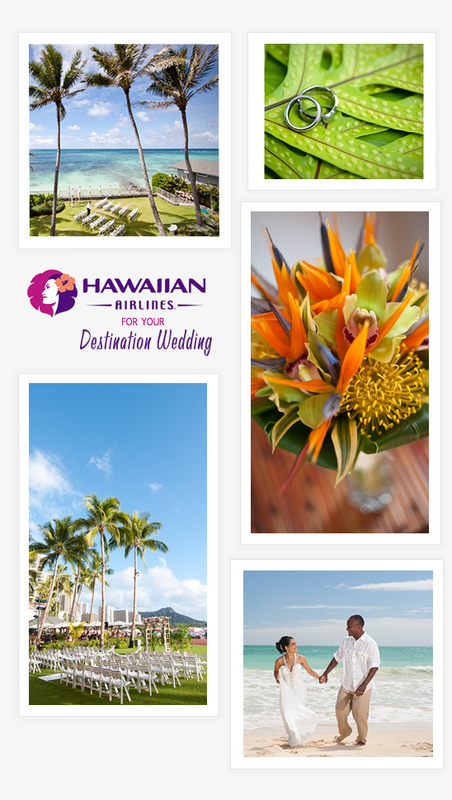 Their Wedding Wings program, an online booking program for weddings and civil unions will help you plan your destination Hawaiian wedding. While you take care of the details, Hawaiian Airlines will take care of getting everyone there. Along with being incredibly easy, you and your partner/husband will receive 10% off and guests will receive 5% off airfare booked online. Wait ... there's even more! 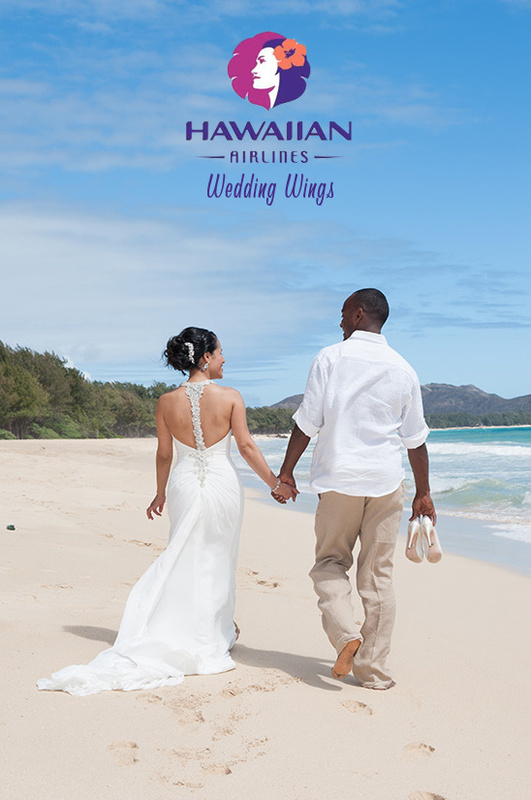 Travel to your destination Hawaiian wedding and be eligible for a first class luxury upgrade when 25 of your guests book their flights through the Hawaiian Airlines Wedding Wings program. Bonus! With the Wedding Wings online portal you can easily manage your guest list, coordinate group travel, track bookings in real time, send out customized discount invitations and purchase greetings for your guests. This Wedding Wings online portal makes it super easy to see how close you are to getting those first class tickets. Register now for free to become one step closer to strolling hand in hand with your love on those white sandy beaches. Can we come too? Photography by Joseph Esser.